Adding height to the crown of the head helps to create voluminous hair styles and polished updos. In the past, styles like the bouffant or beehive relied heavily on backcombing the crown to achieve towering heights.The backcombing technique is still popular today for pumping up the volume of limp hair for everyday wear or special styles. Apply root-boosting mousse to the roots of your clean, damp hair. Massage into the roots before working the product down to the ends of your hair. Brush your hair until it is smooth and free of tangles. Select a one-inch section of hair from the crown of your head. This area is located at the top rear of your head. Wrap the selected section of hair around your round bristle brush. Point the the directional nozzle of your hair dryer at the brush. 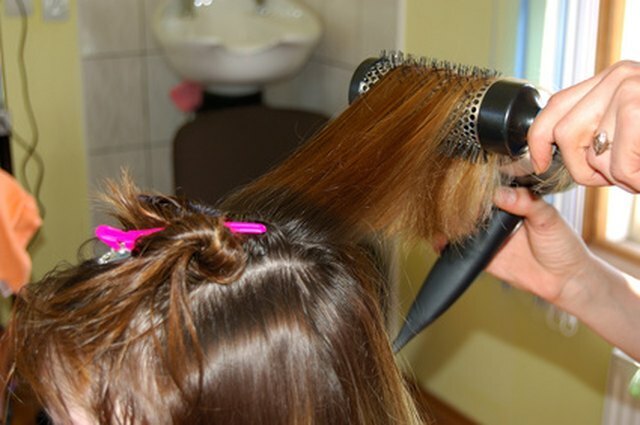 Blast the hair dryer on high heat toward the hair around the bristle brush. Heat the hair until it is dried then switch to your cold setting and blast the hair for five seconds. This helps to lock in the curl. Pull the brush through the hair. Dry the rest of your hair as you normally would. Select the one-inch portion of hair from your crown that was dried using the round brush. Hold it up and away from your head so that it is almost perpendicular to the floor. Hold your rat rail comb in one hand and your hair in the other. 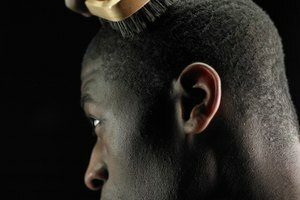 Place your comb into the hair two inches from the roots and comb down toward your scalp. Remove the comb from the hair once you reach the scalp then replace it two inches from the roots and backcomb again. Backcomb the area several times, then repeat the process on the back of the section. Spray both the front and back of the teased hair with your hairspray. Place the hair back against your head. Select a one-inch section of hair from just in front of your teased hair. Lightly comb it back over the teased hair being careful not to press too hard or you will comb out your tease. Smooth the hair over the bump of backcombed hair until the tease is completely concealed. Spray the smooth hair to keep it in place.